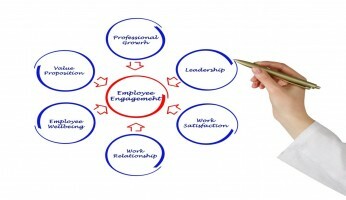 The results from a newly released national poll reveal government lags the private sector in employee engagement. Within the public sector, local government has the highest employee engagement level, followed by the federal government. State government lagged with the lowest engagement score. My organization, the Institute for Public Sector Employee Engagement, commissioned the online poll. The results are based on 1,946 responses from public and private sector employees across the U.S. We used quota sampling to match the U.S. population on key demographics and ensure the results are nationally representative of both the private and public sectors, as well as all three levels of government. Later this month, the institute will release a full report detailing all our findings, analyses and recommendations. In this month’s column, I preview some of our findings. In addition to assessing overall engagement levels, we designed this research to understand which workplace factors have the biggest impact on employee engagement. 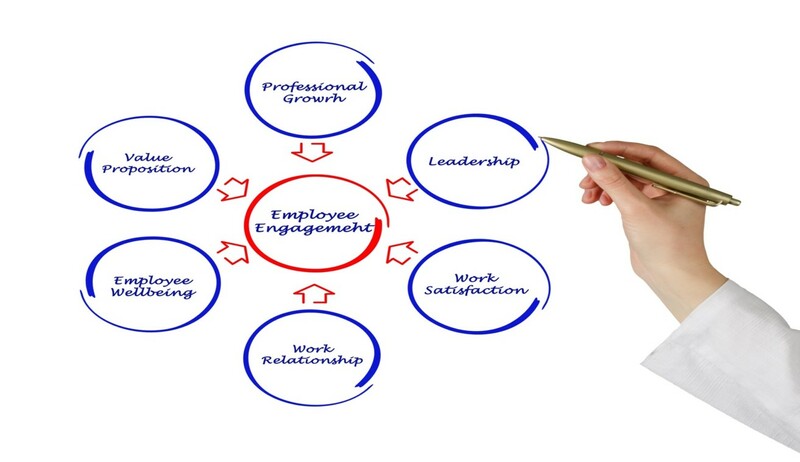 In other words, what are the “key drivers” of engagement, in a statistical sense? Identifying the drivers enables us to understand how to improve engagement. Based on previous research, we incorporated two types of engagement drivers into our model. First are workplace factors such as leadership, supervision and training. We also looked at the cultural drivers of engagement. These include promoting a culture of innovation, appreciation and inclusion. We found the top workplace drivers are the same in government and the private sector. “Leadership and managing change,” ”my work” and “training and development” were the top three drivers of engagement across both sectors. In other words, when scores are high in these areas, engagement also tends to be high. The rest of the story, however, hinges on the actual scores for these engagement drivers. We found that the public sector scores are significantly lower than the private sector scores for the top driver, leadership and managing change. In business, 65 percent of respondents are positive about leadership and change management in their companies, compared to just 55 percent of government employees. This 10 percent gap is the largest among all the engagement drivers. Among the cultural drivers of engagement, the top driver for both private and public sector employees is, “I feel valued for the work I do.” Here again, however, the government results are significantly lower than the private sector results. Only 67 percent of government employees overall agree with this statement, compared to 72 percent of private-sector respondents, a statistically significant difference. The second-most important cultural driver of engagement in both the private and public sectors is, “I feel encouraged to come up with new and better ways of doing things.” Despite the importance of this factor across sectors, only 64 percent of government respondents overall agree with this statement, compared to 70 percent of private sector respondents. As I’ve said and written repeatedly, including in this space, I don’t believe there is a one-size-fits-all solution to improving engagement in government, especially since there are more than 90,000 government jurisdictions just in the U.S. That is why I argue each organization should survey its own employees to identify where it can improve. However, it can also be useful to understand how to apply research results, particularly concerning the drivers of employee engagement. For example, leadership and managing change was the lowest-scoring category in government, yet was the most important driver of engagement. Despite the low score, there is potentially good news for government here. If your glass is half full, that is. What I mean is the low score on government leadership creates great potential to improve public sector employee engagement — if government agencies focus on building leadership capability. While this is an enormous challenge, it is also an opportunity to develop a new generation of leaders who can manage change and build high-engagement organizations. To do this successfully, government should adopt approaches such as developing leadership competencies — including the ability to build and sustain high-engagement organizations — and then hold leaders accountable for mastering these competencies. Government agencies can also select and onboard leaders better, adopt succession-planning strategies, offer executive coaching, communicate more effectively about important organizational changes, give employees more opportunities to voice their opinions, and make long-term investments in leadership training and development. The Institute plans to release the full report — with more detailed results, analyses and recommendations — later this month. I look forward to the Institute’s full report.